Now that LOYAL3 is closing down, most of the trading we do for our dividend income portfolio is done through our Robinhood account. I think Robinhood is great for many reasons … most notably the free trades. We own shares of some great companies like Aflac (AFL), Johnson & Johnson (JNJ), and Cisco (CSCO) just to name a few in our Robinhood account. Unlike LOYAL3, Robinhood let’s investors purchase all U.S. stocks instead of a few. This zero cost broker is a great tool for new investors to start building their portfolio one share at a time. But there are a few features that I am looking for as a trader that Robinhood does not offer … most notably custodial accounts. The zero cost broker does not currently offer joint, custodial, trust, and IRA accounts. Not a big deal for me … but I have 3 kids and want to get them custodial accounts so they can each start building their sustainable income stream. Besides the account types, the only other issue I have with Robinhood is that you must buy whole shares of stock … no partial shares. This is certainly not a show stopper and it is hard to complain when you are getting free trades. When comparing LOYAL3 and Robinhood … I liked certain features of both. LOYAL3 did offer partial share trades, which made it much easier for me to invest in companies like Apple (AAPL) with a high share price. But the available companies to invest in were limited. 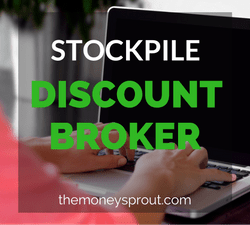 With LOYAL3 no longer an option as an investor, I recently heard about Stockpile … another discount broker. Similar to LOYAL3, Stockpile is an online broker geared towards new investors and does not require a minimum balance. They appear to have a lot more companies available for investors to buy stock in (over 1,000+) compared to LOYAL3. That is certainly a good thing for dividend investors … as LOYAL3 had less than 100 companies available to invest in. Another nice feature of this broker is that investors can invest dollar amounts (instead of share amounts) and purchase partial shares. 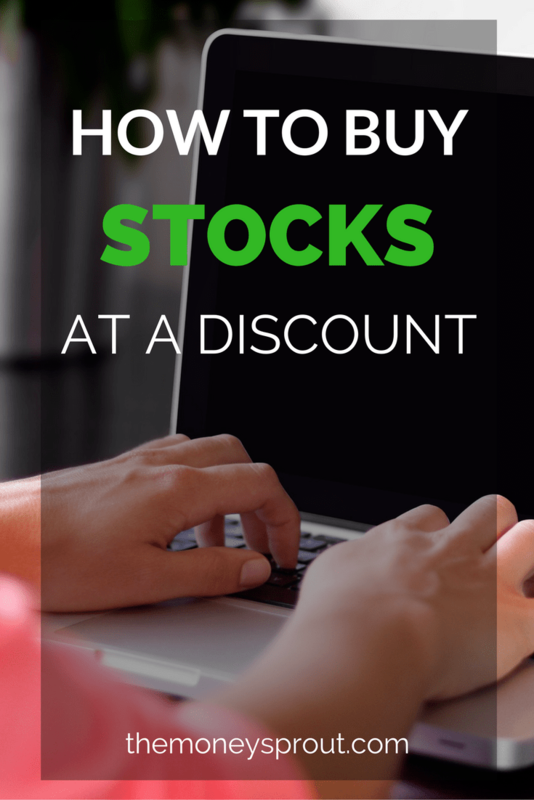 This comes in handy for those investing certain amounts every month. They will also allow investors to setup free dividend reinvestment … which is perfect for new investors. Neither Robinhood or LOYAL3 offered this feature. My absolute favorite feature of Stockpile is that they offer custodial accounts. As I mentioned earlier … this is something very important to me since I have 3 young children and want to open accounts for each. I want to teach my kids the important lessons of investing in dividend paying stocks, especially at a young age. Kids who open a custodial account have the ability to place trades on their own … which then must be approved by the custodian. Pretty cool feature for my youngsters. The only downside of Stockpile that I see is they charge a fee of $0.99 per trade … although that is way cheaper than my main Fidelity account at $4.95 per trade. Robinhood however still does not charge any fees for buying a stock. So as investors transition away from LOYAL3, what should they choose – Stockpile or Robinhood? Personally, I say both … or at least that is what we are planning to use. First, we are moving all of our assets from our LOYAL3 account to our more traditional Fidelity brokerage account. We wanted to take advantage of dividend reinvestment and be able to consolidate some of our holdings. We will continue to use Robinhood for most of our active trading for now … since we are still not paying a cent on commissions or fees. For us, this just seems like the best option for saving money on our investments. We also recently opened up a new Stockpile account under my name. First … I wanted to see what the discount broker was all about. But I really don’t like the idea of paying $0.99 commission when I won’t pay one over on Robinhood. The real reason why we opened an account was to be able to setup custodial accounts for our kids. We just set our first account up for our daughter … who had a birthday last week. Instead of giving our kids a bunch of toys and junk they don’t need or won’t play with very long … we want to help give them money to invest. I plan to share a lot more on our experience with these custodial accounts as we begin to set them all up and our kids start investing. For now however, I will stick to buying new shares of stock for my wife and I through our Robinhood account. Stockpile offers a few other features that I chose not to mentioned earlier as I don’t feel are important. For example, investors can purchase stock by using a debit or credit card. This was a feature that LOYAL3 originally offered and I took advantage of early on to “double dip” and earn credit card reward points. The difference with Stockpile though is that investors pay a 3% charge on the amount you invest in plus the $0.99 fee. That is a big waste of money for me to use this feature. Another “goofy” feature to me is that you can purchase a physical gift card through Stockpile for another investor (like your kids) so they can use it to buy stock. That part is kinda cool. The bad part are the mark up fee’s associated with buying the Stockpile gift cards. For example, if I wanted to give one of my kids a gift card for $50 in Amazon (AMZN) stock, it would cost me $56.95! I don’t know about you, but I would just assume transfer the $56.95 into their account and let them pay the $0.99 trading fee to buy partial shares in Amazon. Overall though, I think Stockpile has some good features and is worth trying out … especially if you are looking to open a custodial account for a child or young family member. Are you using Stockpile? What is your experience using this discount broker?